NEWLY RENOVATED! Move in now!! You will absolutely love this 1100 sqft TWO LEVEL, TOP FLOOR 3 bedroom with 2 bathroom. 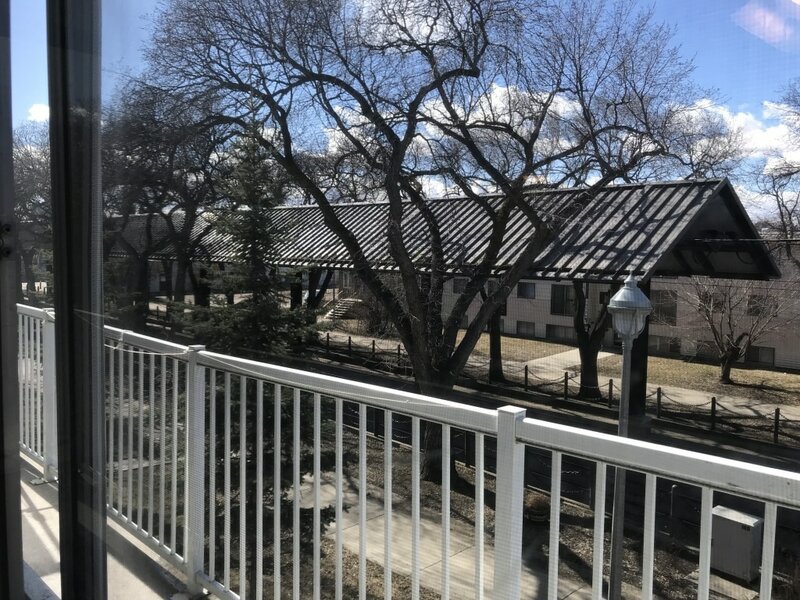 Unlike other three bedroom apartments, you will enjoy our full size bathrooms, open floor concept living room and huge balcony overlooking mature tree line of LRT and community garden. In addition, there are tons of storage areas within the unit for all your valuable belongings. Bonus: Master has walk-in closet in bedroom plus ensuite washroom and there are two large in-suite storage room for all your belongings. You don't need a car as this unit will provide you convenient prime central location (Walk score of 91, Transit Score of 80) and everything is just steps ahead including the New Ice District, Grant McEwan University and Royal Alexander Hospital, Kingsway shopping centre, Victoria School of Arts and parks and playgrounds are all nearby. We pride ourselves on the great value we provide to our tenants and nothing is more important than providing you with quiet and peaceful living. Our professional management team and on-site manager will GURANTEE your place is safe, quiet and clean. Call Now! One Energized Parking Stall Included. Please contact Jason @ (778) 893-3418 / (780) 709-8735 for current availability and to book for a viewing. Price and terms are subject to change without notice.